It can’t have escaped your notice that this week is Black Friday! Friday 24th November. But what is it and why is it such a big deal? Black Friday originates from the United States. It’s the day immediately after Thanksgiving and signifies the start of the Christmas shopping season. Businesses hope that their bank balances will stay in the black as a result of Black Friday sales and offer many special deals to to make this happen. Maxi Family Photography Experience - reduced to £550 from £1150! This has to be the deal of the day!! For less than half the normal price your family photography experience will include individual and group photo sessions with all your family, during which our dedicated photographer will be sure to capture everyone’s individual personalities and all the little interactions between you. You will also enjoy an exciting viewing session and an amazing Maxi framed wall art product in Gallery, Vue or Metro (33” x 33”, 43” x 33” or 43” x 24”) valued at £1,000! Midi Family Photography Experience - half price at £425 (usually £850) At half price this photography experience is amazing value! You will have a fun personalised photo shoot for all the members of the family - both individually and together as a group. You will then be able to view the results and also included in your Midi experience is your favourite image from your photography session hand-framed in a stunning Midi sized Gallery, Vue or Metro frame (24” x 24” or 31” x 24” or 31” x 15”) valued at £700. 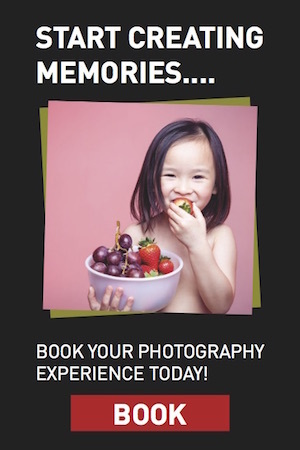 Gold Family Photography Experience - reduced to £45 from £95! With the Gold family photography experience you will enjoy a family photo shoot, a cinematic viewing afterwards and your choice of a handmade Mini wall art frame in Gallery, Vue or Metro, (19” x 15” or 15” x 15”) valued at £370. It doesn’t get any better value than this! But what if Black Friday comes and goes and you realise you really should have taken us up on one of the above amazing offers? Do not despair: hope is not lost! As a very special Cyber Monday offer - Monday 27th November - we are giving you one last chance to grab a bargain. Our Gold Family Photography experience will be available on that day only for £60 instead of the normal £95. But that’s not all! As a special Cyber Monday offer we are also offering a complimentary Virgin Duo pack of wines including a quality bottle of white and red wine valued at £33. This really is an offer too good to refuse! All of the above offers are amazing value and would make ideal Christmas gifts for you or your family or friends. Each wonderful experience will be an enjoyable time for all the family and will create a lasting gift that will bring many happy memories in years to come. You can purchase your gift experiences directly through our website; (so why not bookmark the page now for speedy access on the 24th!) or if there is any other information that you need then do not hesitate to contact us at Venture Studios. We look forward to making this Black Friday your best ever!